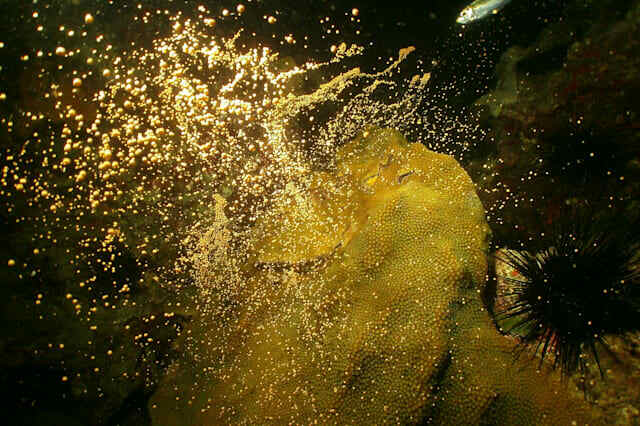 Coral Spawning happens once a year and is one of nature’s most spectacular and rare performances. A handful of guests at Anse Chastanet in St Lucia are lucky enough to witness this marvel annually as the natural wonder occurs right off the beaches of the charming resort. It happens when coral release millions of packets of egg and sperm cells that appear as massive underwater clouds of white and pink upward moving ‘snowfall’. Each year, the Anse Chastanet scuba diving team incredibly and accurately predicts the night spawning and prepares to take novice and experienced divers and snorkelers to observe the remarkable phenomenon which turns the seas yellow and pink.